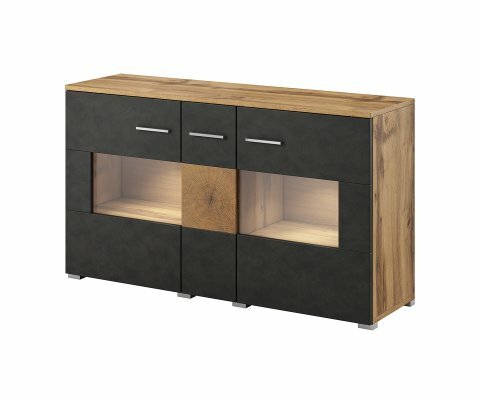 The Wobona Sideboard features on-trend style, with glass panels for displaying favorite décor, collectibles or serving pieces, rich two-tone coloring, and sleek, streamlined design. 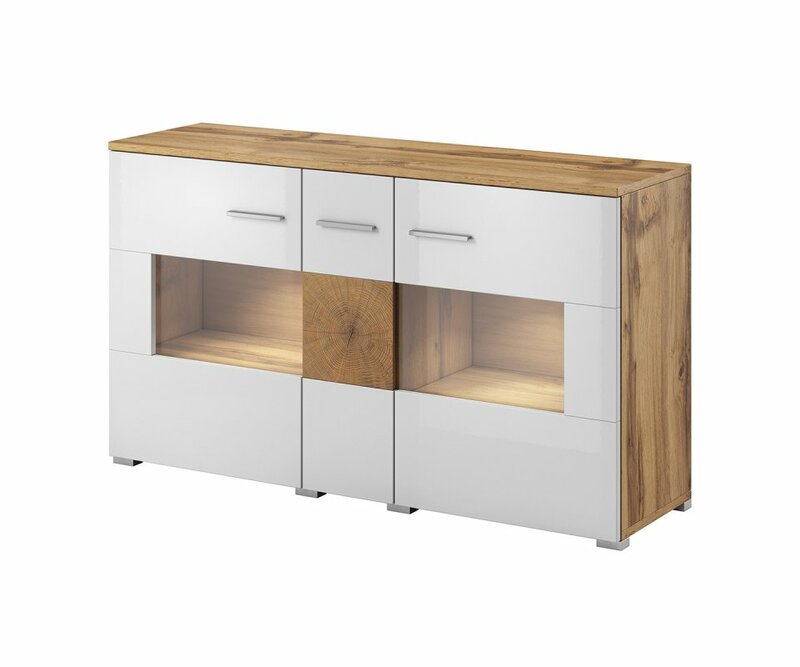 It is available in your choice of two colors, a Wotan Oak woodgrain combined with solid Matera that is a dark matte charcoal gray, or a Wotan Oak woodgrain combined with White Gloss finish. 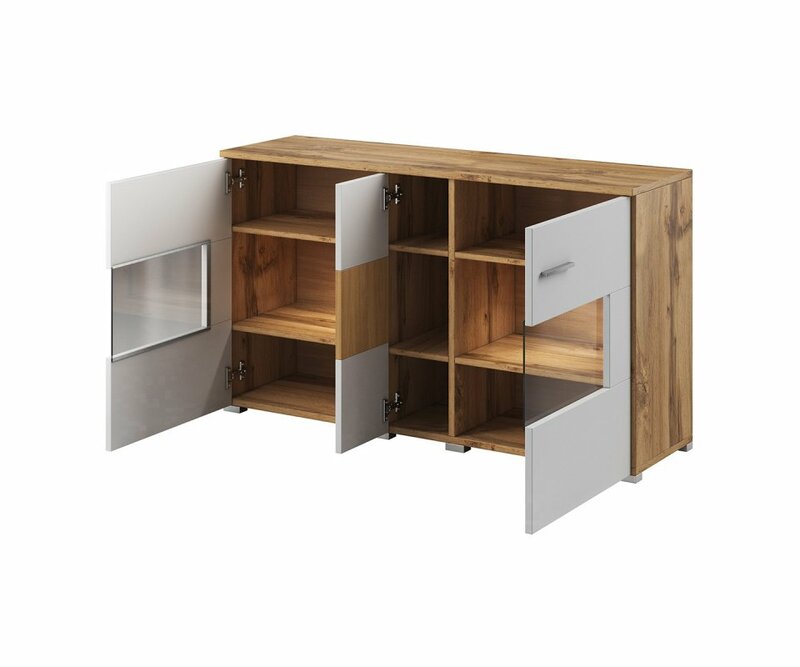 The cabinet features two side doors with glass panel inserts and shelves on the interior, and a smaller central door with woodgrain insert that has three cubbies inside. The exterior has sleek brushed aluminum handles and feet that add the finishing touches to a stunning addition to your living room, dining room or entertainment area.